Mercedes drivers Lewis Hamilton and Nico Rosberg have been told that they risk being ordered how to drive by their teams if they collide again. Hamilton, the defending F1 champion, and Rosberg crashed on the final lap in a dramatic end to the Austrian Grand Prix last weekend. The incident happened when Hamilton was chasing race leader Rosberg and trying to find enough room to pass him. Rosberg refused to give any ground and the crash cost him valuable points, as Hamilton took his third win of the season and Rosberg finished fourth. It is the second time this season that they have crashed, following a similar incident on the first lap at the Spanish Grand Prix, although both drivers went out so neither gained any points advantage. Under team orders, team management can effectively order a driver by radio to drive a certain way by slowing down or not taking risks. A driver can also be told to allow his teammate to pass. Mercedes hopes the new rules will prevent further incidents between the pair, who grew up racing karts against each other and have a history of feuding at Mercedes. Rosberg, who has five wins so far this season, has seen his overall lead over Hamilton slashed to 11 points _ having won the first four races of the season. At one stage the German driver led Hamilton by 43. He blamed Hamilton for the crash in Austria, although replays appeared to show that Rosberg _ whose tires were almost worn out _ did not give Hamilton enough room. Hamilton was jeered on the podium by a section of the fans. Two seasons ago, it was Hamilton who was left fuming as Rosberg clipped his car and sent him crashing out of the Belgian GP, and earlier that season Rosberg crashed late in qualifying when under no pressure at all, bringing an end to the session with Hamilton poised to beat his leading time and get pole position. Hamilton and Rosberg also tangled on the first lap at the Canadian GP this season. “In the past five races, there have been three incidents which have cost us over 50 points in the constructors’ championship,” Mercedes said. Still, for now, Mercedes are not imposing team orders the way Red Bull did when Sebastian Vettel and Mark Webber were competing for the title. Webber and Vettel had a tense relationship and sometimes ignored their own team orders during a race. 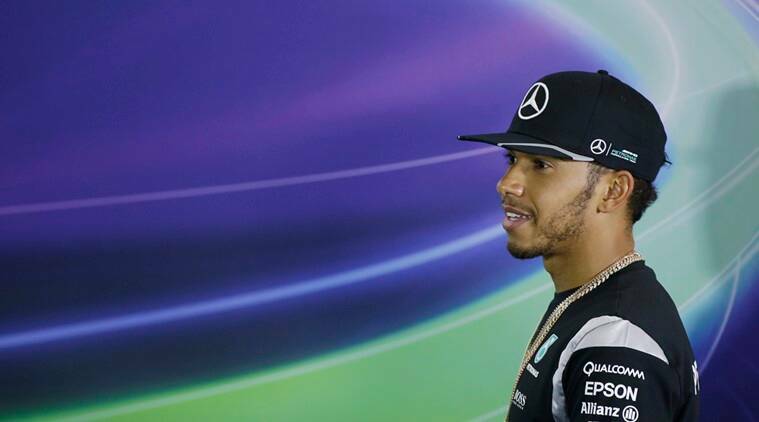 Hamilton and Rosberg will resume their title tussle at this weekend’s British GP at Silverstone.